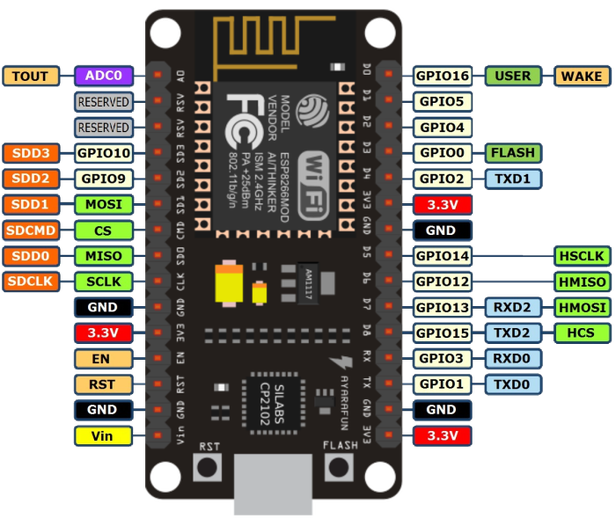 This thread contains comments for the article "Building a WiFi Gateway using ESP8266" posted on MySensors.org. Small question. How to connect this gw to Domoticz ? Over lan and in Domoticz ? Yes would this work with a Rasp Pi controller running Domoticz? Just connect over WIFI to the same network the Controller is connected to? Can the esp8266Gateway be used as an MQTT gateway too? Is it a config issue or does more code need porting first? Uploaded this sktech to a NodeMcu yesterday, i can add it in domoticz. When i try to add a light sensor, it shows up as a light sensor node in domoticz under the Mysensors lan gateway. but it does not show any device. Anyone who have an idea? Please use the development branch until 2.0.1 has been released. It allows presentation on gateway attached devices. Cool, I downloaded it and replaced the old master brach. Still get the same effect. A couple of ESP-12E modules arrived in the mail last Friday and I uploaded the ESP8266 MQTT GW sketch. It worked immediately. Fantastic! I am using a cloudserver MQTT broker on cloudmqtt.com and the OpenHab controller subscribes to that as well. Just a question... I tried to enable the LED BLINKING feature but it seems there are no free pins on the ESP-12 module. I've tried the not connected pins but whatever pin I select (0,1,3,4,9,10) this seems to stop the GW from starting. Ideas anyone? @bgunnarb great that you got it working so quickly! GPIO6-GPIO11 are typically used to interface with the flash memory ICs on most esp8266 modules, so these pins should not generally be used. http://www.esp8266.com/wiki/doku.php?id=esp8266_gpio_pin_allocations has lots of information on the pins. Kolban's book on ESP has a nice clear and color-coded table describing which pins are "safe" to use without any hassle. Please add a wiring diagram for the RFM69. But I miss the CE in that post. Please look right connection diagram. Not nrf24l01+. and you see how to connect. If you do not see you van watch with glasses. Shame on me... I am using a NRF2RFM69 adapter with a CE pin and didn't realize it has no function. is ATSHA204 signing support something planned, or will it stay on soft-sign only mode? is IRQ support something planned too? It's mostly to see if I need to plan to add these features on the PCB for later, or not. @FotoFieber Did you come right with the RFM69? I also struggling to get it working and need to confirm the wiring diagram. "MySensors plugin : Choose the Serial Port"
"MySensors Plugin : Running Lua Startup"
I have yet to assemble the Serial Gateway though, so I'm assuming the messages will go away once the Gateway is installed?????? And use the sketch from the same page. So check your wiring of the radio module. I used the same link (pins and sketches!). Checked it 10 times! @sghazagh maybe you can take a picture of the setup. Maybe someone else can see something that you don't. Here is the side by side image from front and back of the PCB. The 'j1' marked on wrong pin ,that's why I think my radio is not working at all as it seems it's very bad replicate. However, I have rotated it by 180 degree and tried that as well. same result! Guys, just an update for my issue regarding Radio and my circuit. The Radio was faulty, I received the new one, swapped it and all worked fine. I just posted that here if someone want to use my last post image as a reference for connecting the Radio. The wiring all are correct. Thanks for this guide... I have added an additional 433 RF receiver to my ESP8266 gateway. How can I send the data received from 433 RF to the my Home Assistant controller? Hello, i have build a wifi gateway and use it in jeedom. My gateway wifi as connection problem. In jeedom, in the log of my sensors node I have almost every 2 days the message: diconnected from network gateway. If I restart the node the communication is re-established. Is this a problem with nrf24l01? why esp8266 gateway shows only debug info? where is no any serial output. @derrij because it is a wifi gateway? I get an error. How to win. Arduino: 1.8.2 (Windows 7), Плата:"Generic ESP8266 Module, 80 MHz, 40MHz, DIO, 115200, 512K (64K SPIFFS), ck, Disabled, None"
Is it possible to use this setup without the nrf24l01 atached, so that i can use the esp8266 just as a sensor (not as a gateway)? @Jonathan-Caes yes. Don't define MY_RADIO_NRF24 and you're good to go. It will still be a gateway, but a gateway with local sensors and no radio. Hi how many Gateways Can i have on a network? @joseyapor On one MySensors network there can only be one MySensors gateway. But on one IP network, there can be many MySensors gateways. Exactly how many depends on geography and chosen transports but at the very least a few hundred. Thousands if you really need and plan accordingly. Any help in figuring this out would be appreaciated! The log is missing the first lines, but it looks like the microcontroller is unable to communicate with the radio. Which radio are you using? See https://ci.mysensors.org/job/Verifiers/job/MySensors/branch/development/Doxygen_HTML/group__MyTransportgrp.html#details for more details about the log messages and https://forum.mysensors.org/topic/666/debug-faq-and-how-ask-for-help/ for the most common problems and how to fix them. Is there a complete wiring table, diagram, or schematic? I have a working MyController/MySensors network on nRF24s, but I am adding WiFi with a ESP-201 module (white one with pins broken out for 2.54 pitch; see: http://smarpl.com/sites/default/files/images/ESP8266-ESP-201-pin-reference-v01.png)... TIA! @Bogus-Exception did you see the instructions linked in the first post in this thread? You probably want the part that says "connect the radio". if i reboot my wifi router mysensors wifi gateway wouldn't try to connect again, is this only with me or its common issue with wifi gateway? This question was transferred to a new thread by @pihome. Please don't answer here, to avoid double work and confusion. can I make it so that hosts register on the gateway only if I press a button on the gateway? Perhaps there is an example? NodeMCU from eBay link above. Any help? It appears others have had this problem as well, but I haven't (yet) been able to fix my issues through their threads. 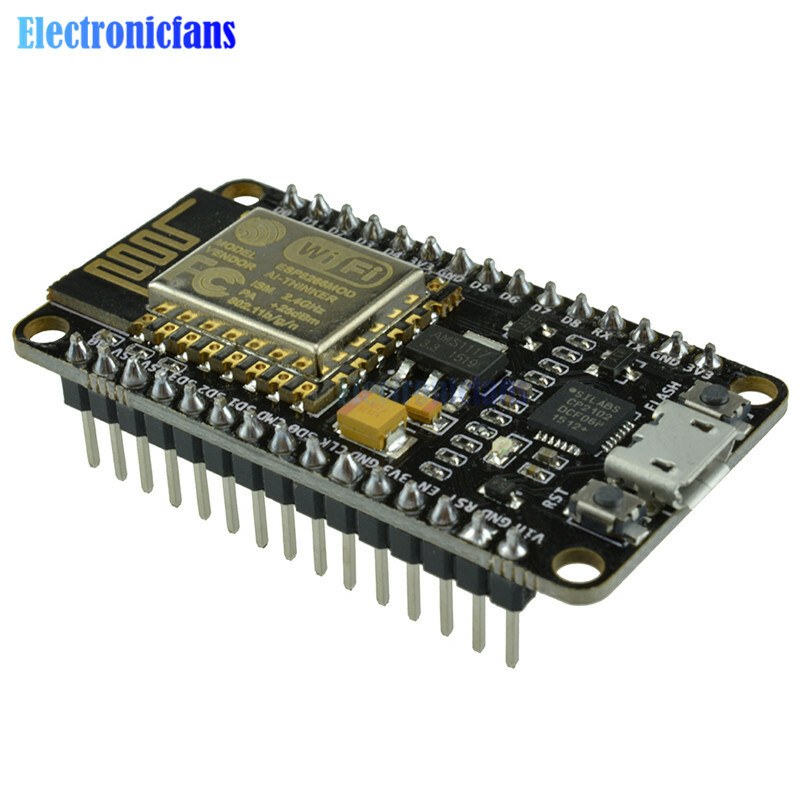 ...and how to connect Arduino & MySensors & ESP8266-01 (like this one: https://www.aliexpress.com/item/2015-New-version-1PCS-ESP8266-serial-WIFI-model-ESP-01-Authenticity-Guaranteed-Internet-of-things/32574207918.html?spm=a2g0s.9042311.0.0.ytiQMF ) with ESP 01 Serial Adapter - like this one (https://www.aliexpress.com/item/ESP8266-Serial-WiFi-Wireless-ESP-01-Adapter-Module-3-3V-5V-Compatible-For-Arduino/32740695540.html?spm=a2g0s.9042311.0.0.lSVdmZ), when i should use Tx and Rx signals only? Welcome to the Mensors community @blackY ! If you're new to building MySensor nodes, I recommend that you stick with the recommended build examples. It is probably possible to use the modules you link to, but it will require knowledge far beyond building the existing examples. I'm kidding. This does not solve the problem. Isn't nice or exploring too. Sorry but can someone explain the differance between "Server" and "Client" modes. I got my ESP8266 working with my Vera but then I install a RPi 3 I'm using for MQTT. Do I need 2 gateways, one for the Vera and another for MQTT? Even though I'm moving away from the Vera it's still usfull. Thanks for the help. One for thing will this work with a ESP32? Sorry about the typing. I also have a question about radio pins. The ESP8266 sketch shows different pins for the radio then "Connecting the Radio". I don't see the pins defined in the sketch so where do I go to change them? @rwoerz thanks for reporting the difference between the wiring instructions. I have created https://github.com/mysensors/MySensors/issues/1096 to update the sketches. I get the following errors when trying to Verify/Compile. I am trying to use the example sketch without any edits. Any ideas on what to do to fix this problem? Under additional Board Mangers I have the following. I have MySensors version 2.3.0 installed and have trying using previous versions. Hi @andre65, welcome to the MySensors forum! @richard-van-der-plas to get a log, activate MY_DEBUG in teh sketch and connect the esp8266 to a computer or a log device like sundberg84's logger. @richard-van-der-plas I recognise the problem you describe. Resetting the router seems related, but the effect of the restart is that the ESP loses its Wifi connection, making it crash and restart. Then it works again, so I think it is because it was reset. You could try to program the ESP with an empty bin file to make sure it will be emptied completely, and than reprogram the ESP with your sketch. I'm building an Wi-Fi Gateway using an ESP8266. That gateway is running now but I want to add the LEDS and inclusion mode button. In the comments of the code I find out that I have to use pin 16 for all the leds? Is that correct? And with D? Pin do I have to use? But I can't compile this because I have to use an pin number and not just D1. How can I fix that? And how can I test/debug the button to see of it's in the inclusion mode? Hi @b0wi, welcome to the forum! Some boards (for example Wemos/Lolin) define the Dn pins. If your board does not use the Dn naming convention, or if you like the gpio numbers better, just use the (gpio) number. Depending on your board, different pins can be used for different things. 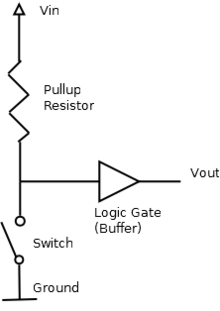 Some pins control boot behavior for example. See https://forum.mysensors.org/post/64783 for an earlier discussion on the same subject. I've to use different pins for each LED right? And how can I test my inclusion button? Is there something to see in the log output? Indication leds: the same pin can be used. Pro: only one pin is needed. Con: you won't be able to see the type of indication. An alternaive, if you can't find enough pins, is to only activate one or two. Inclusion: hopefully someone else can assist. I have never used inclusion. I needed to use an pull up resistor (10K ohm) for more stability. "Don't define MY_RADIO_NRF24 and you're good to go. It will still be a gateway, but a gateway with local sensors and no radio." "On one MySensors network there can only be one MySensors gateway. But on one IP network, there can be many MySensors gateways. Exactly how many depends on geography and chosen transports but at the very least a few hundred. Thousands if you really need and plan accordingly." Let´s say I have multiple ESPs, which should all act like a sensor node. I have a RPi w Domoticz, Mosquitto and MySensors MQTT ethernet gateway. which sets the gateway to client / node mode (as read on the documentation). Setting a node Id is ignored, ID is 0 and can´t be changed, so it is recognized as a gateway at domoticz. If I now set a second node to a different IP address and name, it overwrites the old one (as you say, there can be only one gateway). 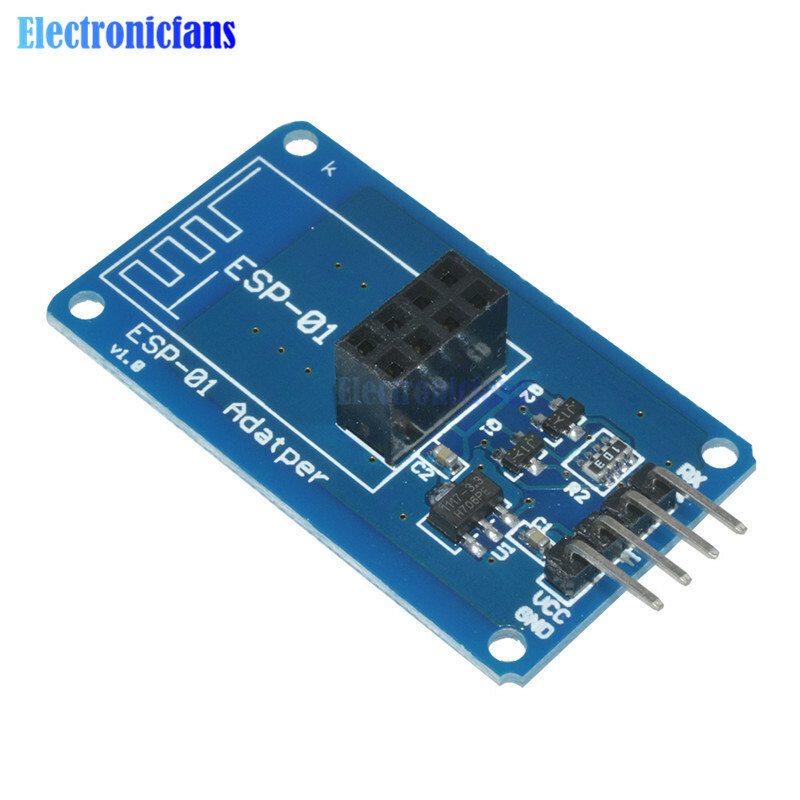 The question now is: how can I set up another ESP? Do I need another RPi or virtual machine with different IP address to install another gateway? Imo using ESP8266-based devices all as GW's with locally attached switches (or other actively addressed children) conflicts also with other controller types (e.g. FHEM also doesn't like that on more than one GW). If you want to use that type of hardware, better use a different firmware like ESPEasy or Tasmota. The later seems to be a good fit for any installation using a MQTT-Server. (I personally don't like that kind of setup, wifi shouldn't be used for HA purposes imo). 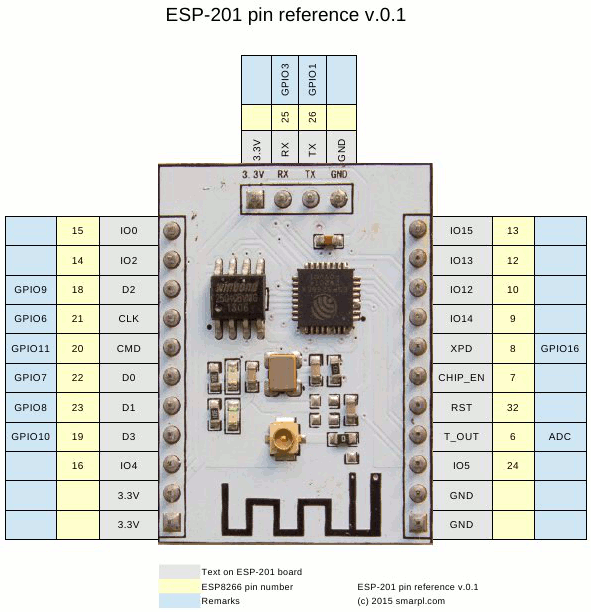 If I only would set up 8266´s I´d give it a try - problem is, I´m in love with the ESP 32. As far as I can see, both solutions you mentioned are not made for the ESP32 . So I´d like to stick to MySensors as I could use lots of the sketches almost 1:1 (can´t be that hard to get more then one MQTT-"Client" running -.-). Only real other options I see is using MQTT-Clientsoftware from Basecamp or just set up an asynchronous http socket and code / decode the JSON-parameters send from and to Domoticz myself.. 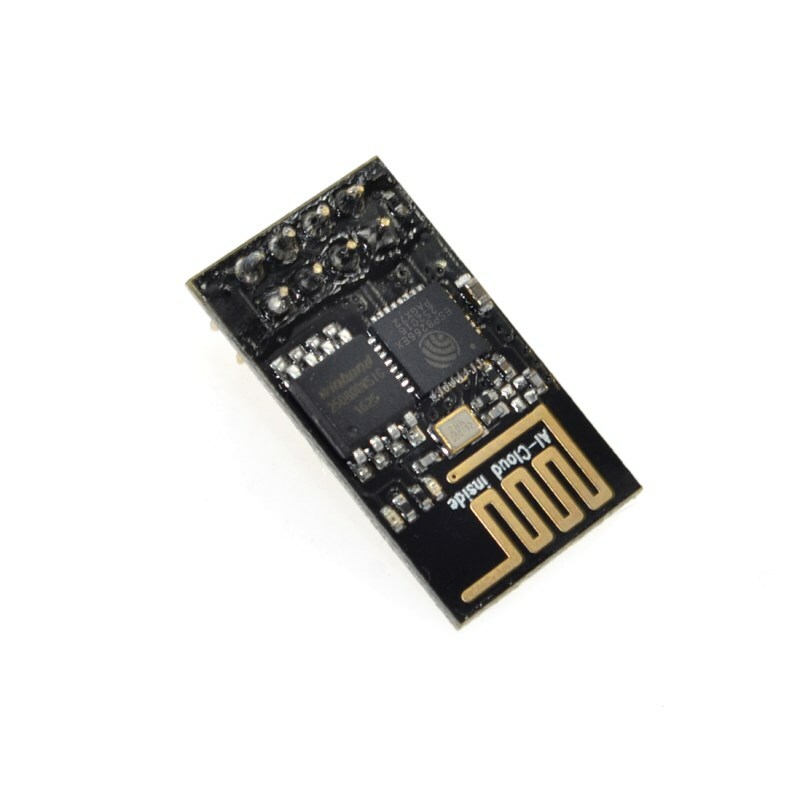 Sorry, I'm not familiar with the ESP32; perhaps you have a look around for other more powerful platforms on MySensors, starting here: https://forum.mysensors.org/topic/6961/nrf5-action. First you have to make sure the GW get's the message. Eg. in FHEM, this is a problem, as one node basically is only identified by it's NodeID. As already described, internally there's a distinction between the GW part and the Sensor (node-) part. And the Sensor part gets unavoidably (at least afaik) the NodeID 0 - so for the controller all the Children are located at the same Node. Second thing then is to make sure to not mess up messages intented for different GW's when doing some "broadcasting" by MQTT. Means: use different ChildID's for all the GW's sensors and actuators. @andre65 did you figure this out? I have the same problem! Thanks. installed NoteRed on the RPi and an asynchronous MQTT client on the ESP32, and within ~1 hour I had a fast and stable way to send messages from and to my nodes. Adding JSON parser on the ESP, and I can perfectly communicate with dummy Domoticz devices. Also, except of you and one very helpful guy within a private chat, noone preplied to MQTT-questions and ESP-stuff. Seems working with ESPs is reluctantly seen here on the forum.? So I assume a different way then using MySensors for everything except (battery-powered) Arduinos is the best I can do, to also have no problems in the future.. Thanks for the feedback, sorry for your ineffective messin around with mysensors. I completely agree to your conclusion using MQTT directly on more powerfull boards able to communicate directly via WiFi. Seems working with ESPs is reluctantly seen here on the forum.? I can only speak for myself but indeed, I absolutely dislike having (regular) WiFi devices integrated in my home automation. My personal concept is to use as much wires as possible (thus I really love the RS485 stuff here!) and use different RF technologies whereever possible - and connect the corresponding GW's using a USB plug! I built a ESP8266 (Lolin V3) gw with RFM69 868mhz according to instructions. I flashed NodeMCU with EspTool without problems. I then uploaded my sketch. It started first OK, but after I set a fixed IP with my router, it will not connect anymore (to router??). Powered with computer usb + 800mA 5V charger at the moment.